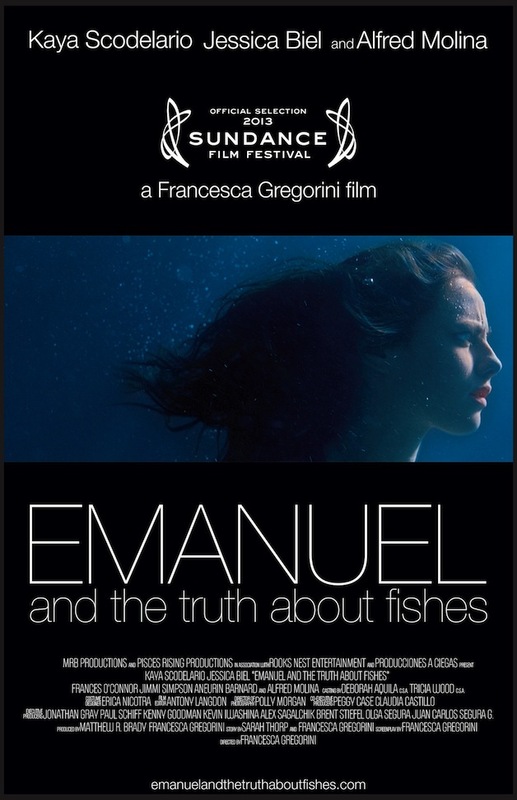 Taking part in this year’s Sundance UK line-up is the independent chiller from director Francesca Gregorini, Emanuel and the Truth about Fishes. Starring in the flick is Jessica Biel, Kaya Scodelario, Alfred Molina and Frances O’Connor and I’ve got the film’s first trailer right here for you guys. A troubled girl (Emanuel) becomes preoccupied with her mysterious new neighbor (Linda), who bears a striking resemblance to her dead mother. In offering to baby-sit Linda’s newborn, Emanuel unwittingly enters a fragile, fictional world, of which she becomes the gatekeeper. This is really a great trailer that pulls on some of the same strings that Stoker did as it has the same sort of psychological drama vibe going on about a troubled teen. The trailer moves along at a quiet pace with a wonderful score that adds to the mysteriousness of the film. So far, it looks like a solid flick so this is one to certainly keep an eye on. The trailer has me interested in watching the movie. Thank you for sharing.